Haider Ali started his career as a soldier in the Mysore state, where he later became the Faujdar of Dindigul. With the help of the French he was able to establish a modern arsenal in Dindigul. And in 1761, Haider Ali overthrew the Nanjaraja, the prime minister of Wodeyar kingdom under King Krishnaraja I. He kept recognizing the king as lawful ruler. 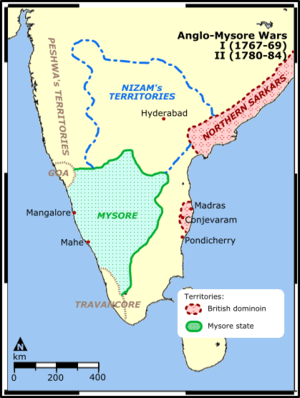 For the conquest of Mysore, the English fought four wars with Mysore, let us look at them one by one. A tripartite alliance was formed against Haider Ali by the Britishers, the Nizam Ali of Hyderabad and the Marathas. Haider Ali bought Marathas and succeeded in breaking the alliance and alluring the Nizam with territorial gains. Together with the Nizam he launched an attack on Arcot and later on the English by appearing at the gates of Madras. The panic-stricken Madras government signed the Treaty of Madras on 4th April 1769, under which basis was mutual restitutition of each other’s territories and a defensive alliance, where the English committed to help Haider in case he was attacked by another power. 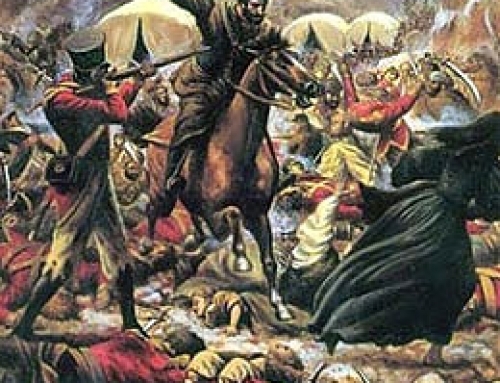 Mutual distrust between the English and Haider Ali caused the Second Anglo Mysore War. Haider Ali accused the Company of not observing the terms of the defensive treaty when they refused to help him when the Marathas attacked Mysore in 1771. Furthermore, Haider Ali was helped by the French by meeting his military demands. On international front, the outbreak of the American war of independence where French alliance with the American colonists was evident. These developments made Warren Hastings extremely suspicious of Haider Ali’s relations with the French. The British captured Mahe, a French settlement which was within Haider’s protection. This led to the formation of an alliance by Haider Ali with the Hyderabad Nizam and the Marathas against the English Company in 1779. The second Anglo Mysore War began in July 1780, when Haider attacked the Carnatic and captured Arcot by defeating an English army under Colonel Baillie. Meanwhile the English, detached the Marathas and Nizam from Haider’s side. After being deserted, Haider was defeated at Porto Novo in 1781. In 1782, Haider died, leaving the task unfinished for his son, Tipu, who continued the war with English for another year. The war ended with the Treaty of Mangalore (March 1784) on the basis of mutual restitution of each other’s territories was agreed. The third Anglo Mysore War was caused by an attack on Travancore by Tipu, because he had differences with the Raja of Travancore in 1790. The English declared war against Tipu supporting the ruler of Travancore. 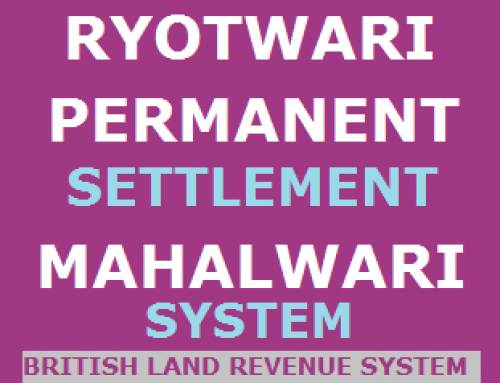 They were helped by the Maratha and Nizam’s troops under the English army which was led by Cornwallis and marched towards Seringapatam (1792). 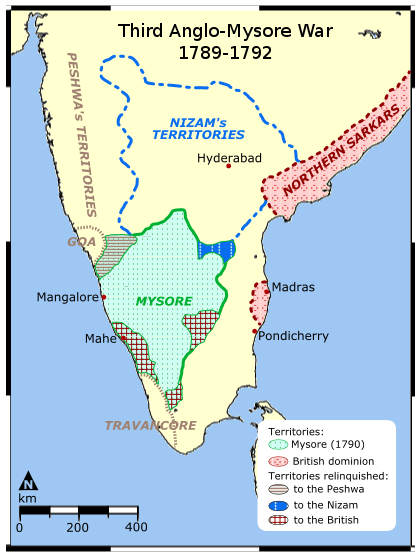 Tipu offered tough resistance but eventually signed the Treaty of Seringapatam in March 1792 resulting in the surrender of nearly half of Mysore territory to the victorious allies in Third Anglo Mysore War. Tipu also had to pay a war indemnity of over three crores rupees. The Nizam acquired territories stretching from river Krishna to beyond the Pennar. Under Wellesley, the Governor-General of English, it was demanded that Tipu Sultan give up his friendship with the French. 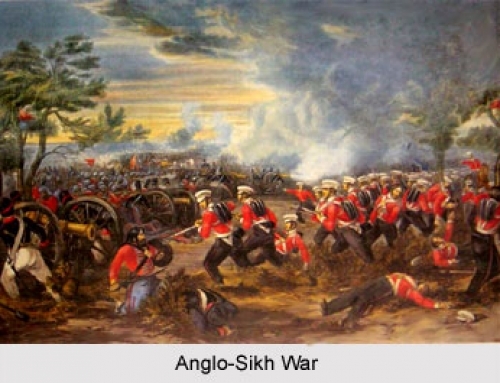 In the Fourth War between Anglo-Mysore. Tipu Sultan died. English fought with the Marathas and the Nizam’s support in battlefield along with their own forces from Madras and Bombay converging. In 1799, Seringapatam was taken and Tipu Sultan died fighting. 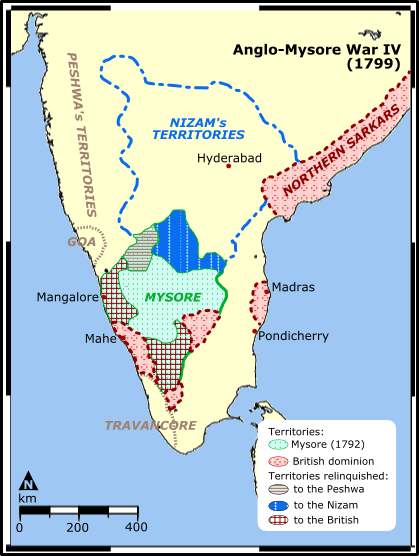 Afterwards, Wellesley restored the Mysore kingdom to the old Wodeyar dynasty, after appropriating large portions of it for distribution among its allies Marathas, Nizam and the Company. 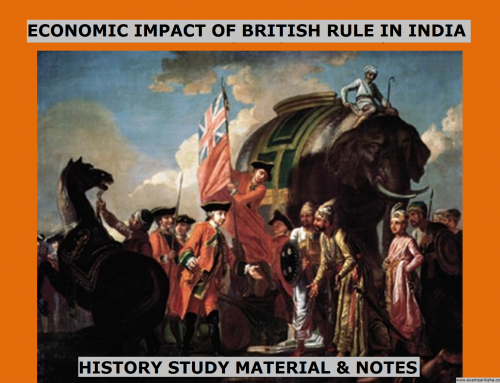 Tipu Sultan was the only Indian ruler who recognised the importance of economic strength as foundation of military strength. He established embassies to France, Turkey to develop foreign trade. He became a part of Jacobian club by planting the ‘tree of liberty’ at his capital Seringapatnam.